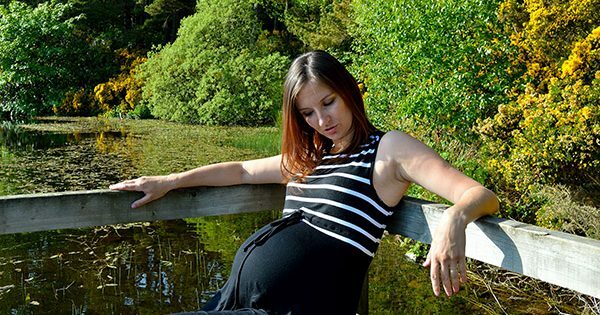 During pregnancy, our bodies’ changes and growing belly moving centre of gravity. Lumbar spine curve is becoming bigger and vertebrae in that region squeezed even more than before. As an compensation thoracic spine is becoming more curved, giving us round shoulder look. To take pressure and pain away from lover back pregnant women like to keep slightly bend upper back. As a result chest muscles are becoming really tight and upper, mid back muscles to stretched. The result is pain in mid and upper back, especially between shoulder blades. It’s long nine months during which that wrong positions are becoming more permanent every day and we are loosing mobility in thoracic spine. After delivering baby, problem is not gone as most of the times we are bend forward or with shoulders rounded (during looking after baby, feeding baby and more). If you are one of many who suffer from one of two the most common reasons for orthopedic and physician visits which are shoulder pain and lower back pain, this article is for you. The truth is that majority of sufferers will get an advise on how to treat symptoms but not on how to resolve the underplaying problem. 99% of sufferers will end up doing stretches or foam rolling (unfortunately that is all what they would do) hoping for pain to go away. It will because they are treating symptoms and not the cause of that pain. How many of you actually have been tested for thoracic spine mobility? How many of you have been offered mobility exercises as solution? Thoracic spine is the last possible place you may look for a pain source but in many cases it is exactly where it all starts. Majority of jobs these days are done at a desk or in sitting position. Most likely in front of computer. Leaning with head forward to look at computer screen or rounding shoulders and arms to type on keyboard creates extra pressure on thoracic spine. Be honest with yourself…how often your upper back is stiff and tense? How often do you have headache or migraines? Have you ever experienced pain or stiffness right between shoulder blades? All of those indicate the posture is poor. Human bodies are amazing and can adapt really fast to stress situation in order to function. Sitting for prolong times (at desk, on sofa, in the car driving) limits thoracic spine mobility and eventually, after some time, causing a loss of mobility in that region. Here is what happens. Your back muscles that you have neglected and which function has been compensated by other body parts will become weaker with time. Those other body parts, mostly muscles and soft tissue structures, that at beginning were just supporting and compensating will become stronger, more dominant and eventually will take over completely. As a result, in the long term you will slowly but surely loose mobility in thoracic section of your spine. Injuries related to thoracic spine immobility. Thoracic section of your spine needs to stay mobile! That includes flexion and extension movements throughout your spine to stabilize your posture, shoulders and lower back. If thoracic spine becomes less mobile, most likely the lumbar section of your spine will become overactive resulting in back pain and injury. The same for shoulders…frozen and immobile thoracic spine will not support shoulder activity which may result in shoulder pain and injuries. Thoracic spine should be able to bend, extend, and rotate. If it is immobile the body pars below and above it will become more mobile (and they shouldn’t). We are talking about scapula and lumbar vertebras here. Now imagine if your scapula isn’t moving the way it meant to (as a result of restricted movement in your thoracic spine which means it cannot support the scapula) during the overhead movements it is compromising the lumbar spine. So, if you are shoulder pain or back pain sufferer you may think of mobilizing your thoracic spine. 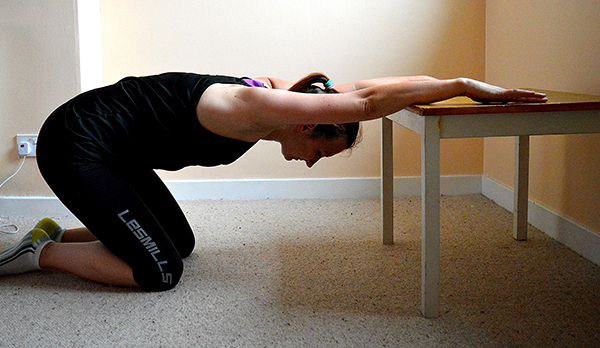 To bring mobility back to your thoracic spine you need to start moving it. Simples! 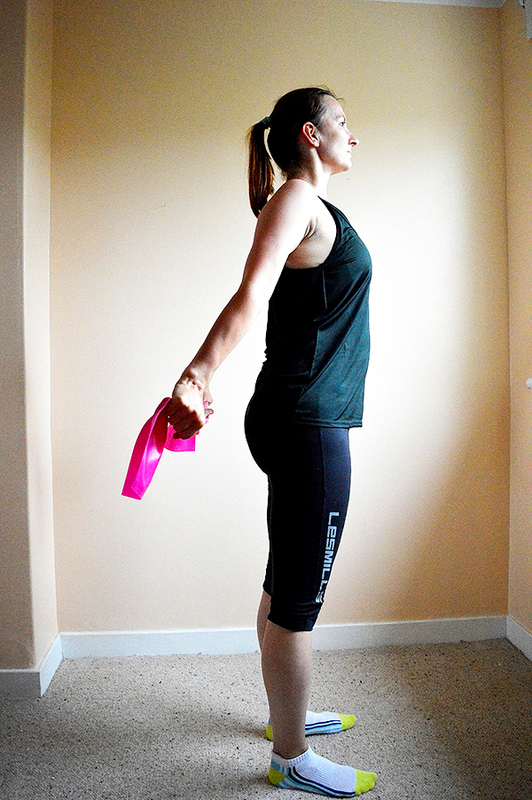 Once your thoracic spine is mobile you should start performing strengthening exercises to maintain that change. 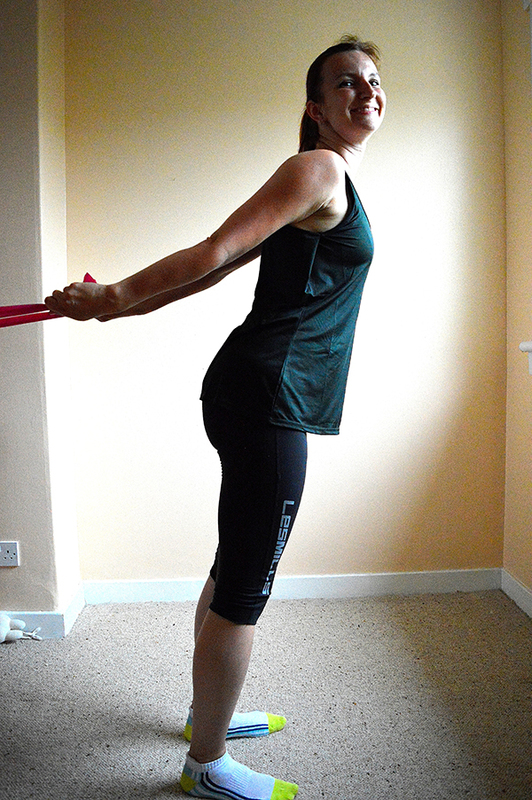 Attach resistance band below your waist line. Grab it both hands. Keep shoulders low. lean forward and hold position for 20 seconds. Repeat 4 times. Place hand on table top. 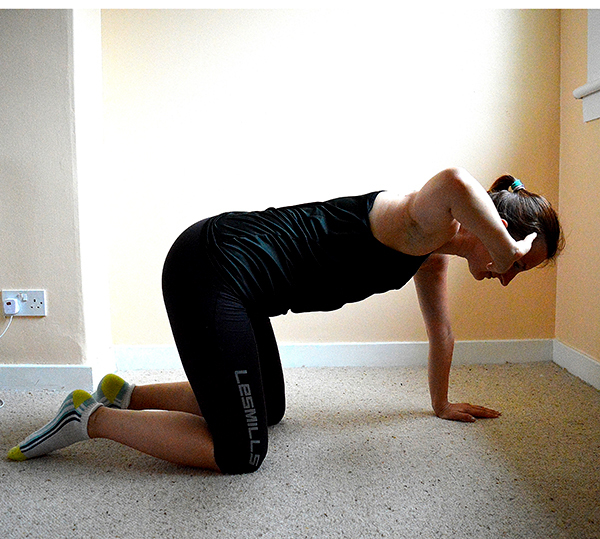 Push your hips backward and then press chest down. Place elbows on table top. Legs hip distance apart. Push hips back and chest down. Hold 20 seconds. press chest down from sternum. if you are pregnant keep your legs wider apart and place belly right between then while performing this stretch. Keep your palm and slide your hand as far as you can. Meanwhile other hand will support you. Place your hands on walls and press chest forward. make sure your arm is pressed against the wall. You will turn other way like you were trying to look over your shoulder.